Coronal Heating Problem is one of the Sun’s unsolved mysteries where the corona is heated to over a million degrees and scientists have not figured out where the energy is coming from. Dr Jaime de la Cruz Rodriguez is tackling this 70 year old puzzle by first understanding the layer of the Sun below the corona – the chromosphere. 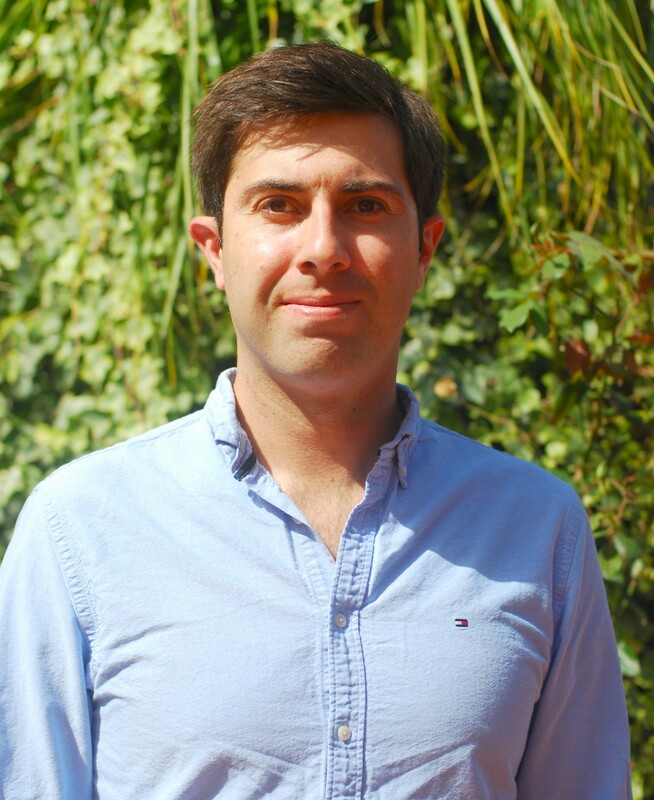 He is awarded the prestigious starting grant by the European Research Council for his project SUNMAG: Understanding magnetic-field regulated heating and explosive events in the solar chromosphere. Congratulations on your ERC fellowship! Tell us about the man behind the grant? Thanks! I am a solar physicist from Spain now established at Stockholm University. I moved to Sweden from the Canary Islands in 2006 as a PhD student, that was quite a life change! I chose solar physics as a PhD topic because our proximity to the Sun allows us to apply very advanced techniques that are usually not possible with more distant astrophysical objects. I got the chance to move to Sweden in a moment when they had the largest solar telescope in the world, and it was a very attractive option. At a more personal level, I wanted to leave from Tenerife for some time, and Sweden looked like an exotic adventure at the time. But it turned out to be a new life for me: there I met my wife and we have two kids. After my PhD studies I had postdoc positions at University of Oslo and Uppsala University, where I worked with brilliant colleagues. Since 2014 I have worked in Stockholm University and nowadays I supervise 3 PhD students and 4 postdocs (including those from the ERC project). 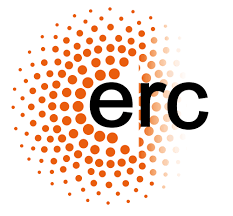 Who/what do you give biggest credit for your success with the ERC grant and why? ERC grants are awarded to scientists that have a very good idea to attempt making progress in a research field. Finding that idea and motivating why it is unique is not always an easy task. In summer 2016 our Institute installed a new instrument (CHROMIS) at the Swedish 1-m Solar Telescope, which allows observing the upper layers of the solar chromosphere with unprecedented spatial resolution (~75 km on the surface of the Sun). Back then, I realized how much potential these new data had. I wrote the proposal around this new instrument and the development of new analysis tools that will allow us to carry out very exciting science in the chromosphere. Can you briefly describe the SUNMAG project for which you are awarded the prestigious ERC grant in 2017? 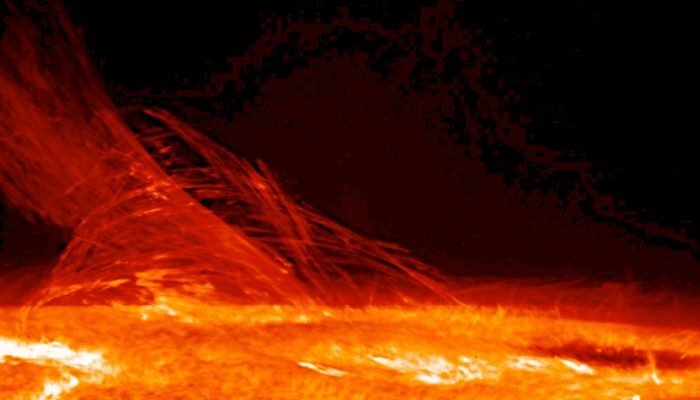 The heating of the solar chromosphere remains one of the foremost question in solar and stellar physics: how is energy transported and deposited in this thin layer of the Sun located about the visible surface (the photosphere) and the million-degree corona? The main obstacle to study this elusive layer of the Sun is that it requires very complex physics to model the observed intensities (spectral lines): it is very challenging to convert the intensities to the underlying physical state of the plasma. The SUNMAG project will study how the chromosphere is heated in regions with strong concentrations of magnetic field. To do so I have developed a technique that allows to reconstruct a 3D model from our observations. These models contain the stratification of gas temperature, density, velocities and the magnetic field vector with height. I will use these models to study and characterize how the chromosphere is heated in active regions and explosive events like flares. In this region, the magnetic field is expected to play a fundamental role in the structuring and energy transport of the chromosphere. • A new analysis tool that allows reconstructing models from spectroscopic observations (described above) of the chromosphere. While these techniques already existed, for the first time our code allows for the inclusion of spectral lines that are sensitive to the middle and upper chromosphere. • New instrumentation that allows to spatially resolve the scales at which energy is expected to be released in the solar chromosphere. The CHROMIS instrument at the Swedish 1-m Solar Telescope basically doubles the spatial resolution of previous instrumentation, while also providing rich spectral information. I believe that with this project I can help to take steps towards solving the chromospheric heating problem. 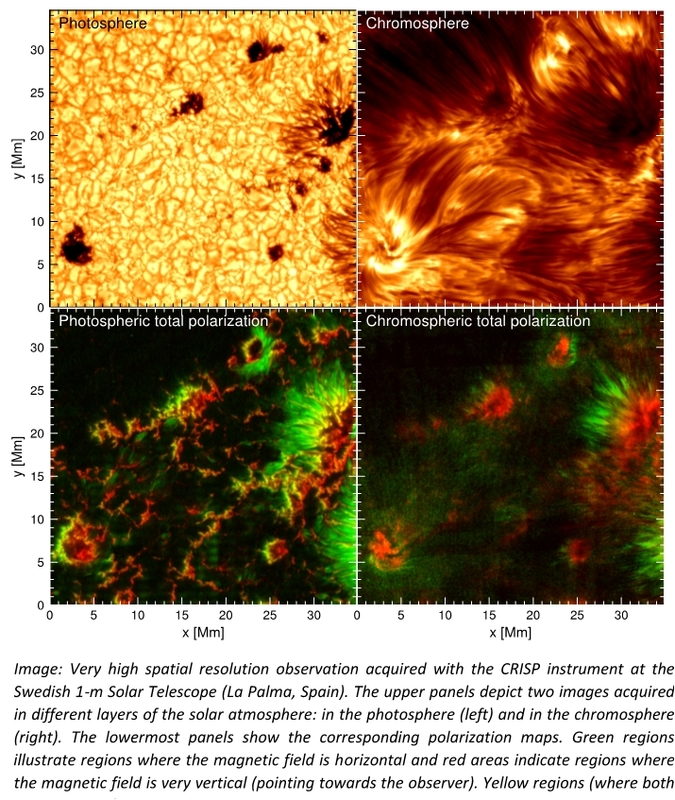 Just to provide some context, the image illustrates a co-temporal observation of the solar photosphere and chromosphere (top panels), acquired at the Swedish 1-m Solar Telescope. The photosphere (left panel) is dominated by convective cells (granules) and strong concentrations of magnetic field (sunspots). In the chromosphere this convective panel is lost and we start to observe elongated structures that are usually aligned with the magnetic field. We know that in magnetically active regions the magnetic field intensity (generally) decreases as we move upwards. We also know that the magnetic field is highly confined in the photosphere whereas it expands forming magnetic canopies in the chromosphere. These differences are illustrated in the lower panels of the image, where the left panel shows many sharp red structures in comparison with the right panel. In the right panel however, we can discern a green halo in the central part of the image that traces the presence of these magnetic canopies. In the image the red color indicates regions where the magnetic field is aligned with the line of sight of the observer (vertical fields), whereas the green color indicates regions where the magnetic field is contained in the plane of the surface (horizontal fields). What aspects of the project are you most excited about and what aspects are least exciting? I am most excited about flare studies. It is a real challenge to understand the observations, but I think we can help a lot as our techniques have not been applied in many studies to this kind of data. This part also has an interdisciplinary component. For example, our code provides estimates of the magnetic field in the chromosphere and that information could be used in other fields like space weather. I am less excited about some programing parts of the project that I will need to undertake. That part is usually less regarding and very time consuming. In 2017 Stockholm University has bagged 7 ERC grants, including yourself. What does the University do to achieve such success? Stockholm University is an excellent place to work and perhaps having successful applicants starts by having competitive research groups where those young researchers can develop their ideas and settle with their own groups. Research is very competitive at the moment, but competition used in a constructive way can be a very powerful tool. More pragmatically, I got excellent support during the application process and for the interview in Brussels. What was the most difficult part of the application process and how did you overcome it? I personally found the interview part is particularly difficult. I never have had issues with managing my nerves, but that day I didn’t have a steady hand when I entered the room. The panel did a very good job digging out the weaknesses of the project. I managed to overcome this difficult part by not trying to fiercely defend every criticism that I got during the interview. There are always limitations and it is better to be aware of them and to have them somewhat under control. Apart from your accomplished research, what other duties do you perform? Do you think any of these duties gave you an edge over other applicants during the ERC decision? Teaching and supervision. The latter is an important asset, especially if the project involves PhD students. I suspect that having zero supervision experience can be problematic in that case. What are your other interests? How have they been affected since your award? Professionally I am working in my prime scientific interest, which is great! The award has affected other aspects of my life, including my employment at Stockholm University which is now permanent. Outside science, sports have always been an important part of my life, but that part remains unaffected. Lots of tips from Jaime for aspiring ERC applicants. Wishing him the very best for this project.